It’s a beautiful day in NYC. We welcomed the sunshine with fresh juice, breakfast treats, and optimistic talks about the future of shopping. We’re here at Code Commerce, a day-and-a-half conference in Manhattan featuring the most innovative minds in commerce today. Alber spoke about the importance of building connected, consistent relationships with shoppers, a key part of how Williams-Sonoma has been able to build out their 600+ retail stores under a portfolio of highly successful home furnishings brands. Alber dug into how aligning the online with the offline experience, unifying the entire omnichannel journey, is essential in creating a seamless path to purchase for shoppers. Alber honed in on the importance of creating personalized experiences, and that leveraging cutting-edge technology — like artificial intelligence or machine learning — to optimize those will be imperative in the future. On the relevance of brick-and-mortar stores, Alber wasn’t shy about communicating her belief that they’ll never disappear. It’s about community and being together — not to mention why we like to try things out (like sitting in our potential new sofa) before we buy them. Alber explained how Williams-Sonoma is a leader in using data to deliver better shopping experiences. For example, if they know you enjoy baking, they might send you an email about a new line of pans to check out this holiday season. Sounds good to us! 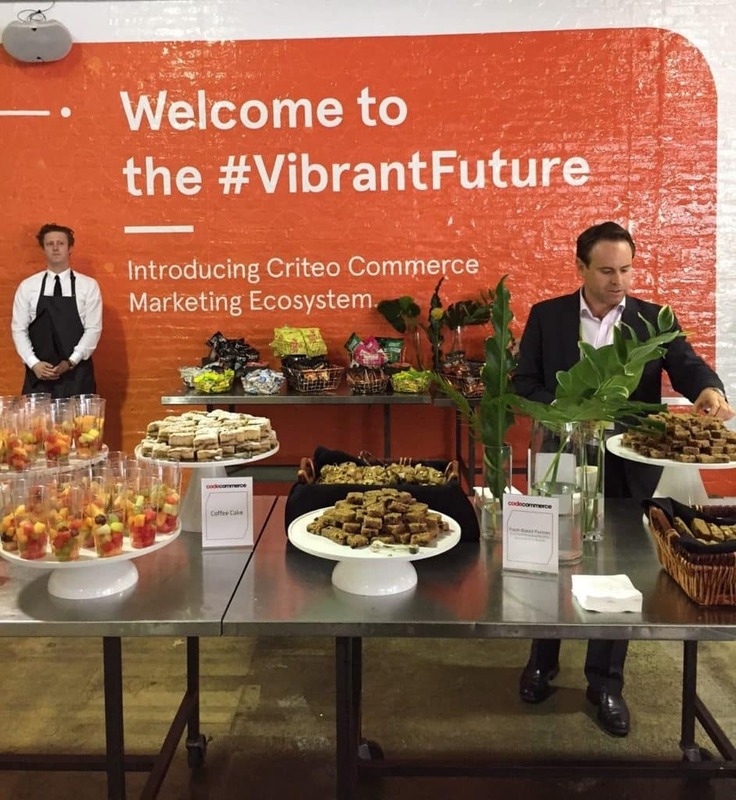 Stay tuned for more coverage from the Criteo Newsroom at Code Commerce.